Skye Thorn has given tarot card readings for years, and now her psychic visions are helping the police find the town’s missing golden girl. 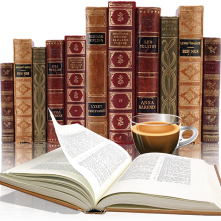 It’s no challenge—her readings have always been faked, but this time she has some insider knowledge. The kidnapping was supposed to be easy—no one would get hurt and she’d get the money she needs to start a new life. 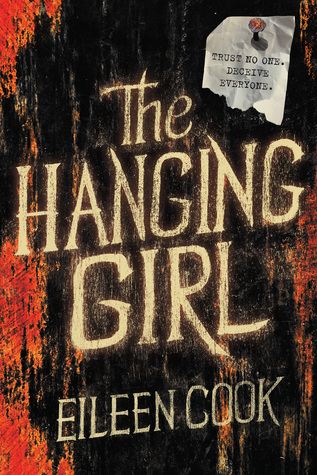 Happy Release Day to Eileen Cook on the publication of The Hanging Girl. Marketed for young readers, I think it fit the bill nicely. The cover was the first thing I noticed when this popped up on Netgally, and I can't really put into words why - it's eerie and begs to be picked up and read. 'trust no one. deceive everyone.' - matches the story perfectly! As you can read from the synopsis above the premise for this story is intriguing, with false tarot cards, a kidnapping prank along with Skye's inside info, but then everything starts to go terribly wrong. As I dug deeper realized there are many layers here and secrets of the past always come to light one way or another. Once I started reading it didn't take long to be sucked right in, especially getting to know Skye, she is honest in her untruthfulness and one can't help feel sympathy towards her (though at times she is hard to even like), she has a hard life and it appears will do anything to change that and get out of this small town. There were many twists and turns to the story that kept me guessing and just when I thought I figured things out there would be another flip. The ending I didn't see coming and I love it when an author does that. 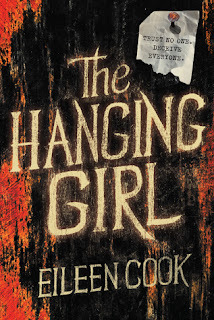 This is my first book by Eileen Cook and I am anxious to read more. Thanks to the publisher (via Netgalley for an advanced copy).